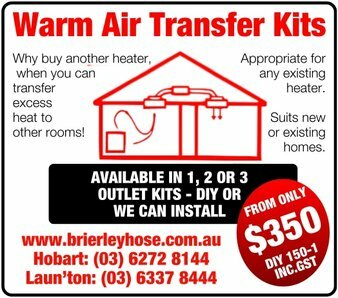 Warm air transfer kits introduce the economic and efficient way of transferring excess heat from your solid fuel, electric or gas room heater to a cool part of your home. 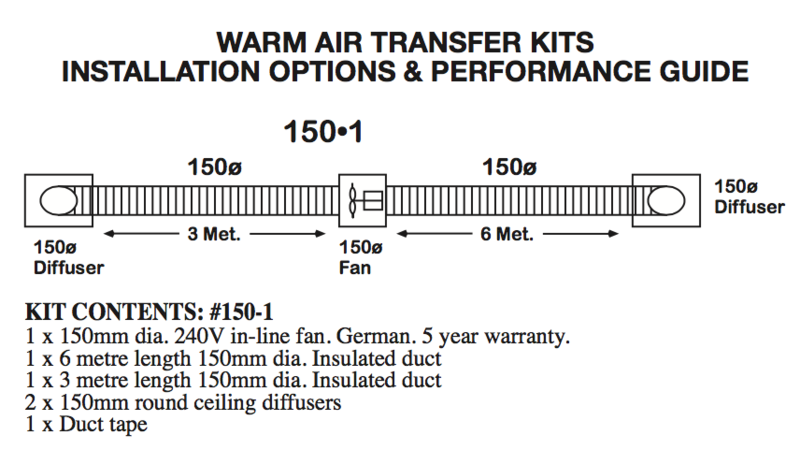 The Air Transfer systems kit is designed for ease of installation and a neat appearance. 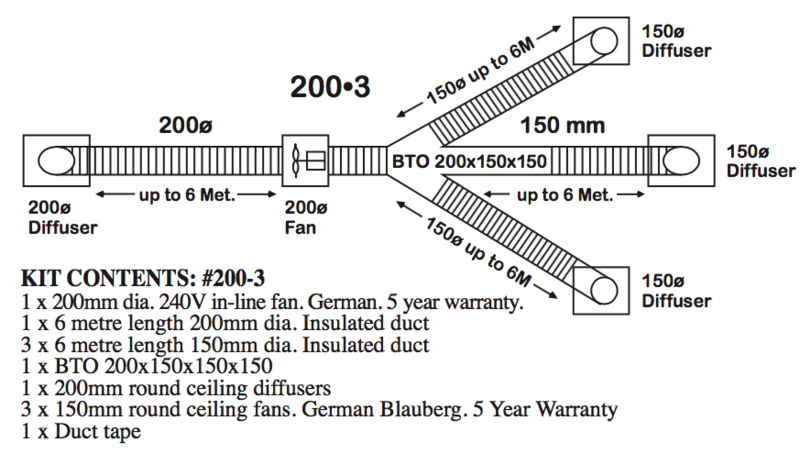 The unit can be run economically with the fan on full speed only drawing 46 watts of power or less when used with a variable speed switch. 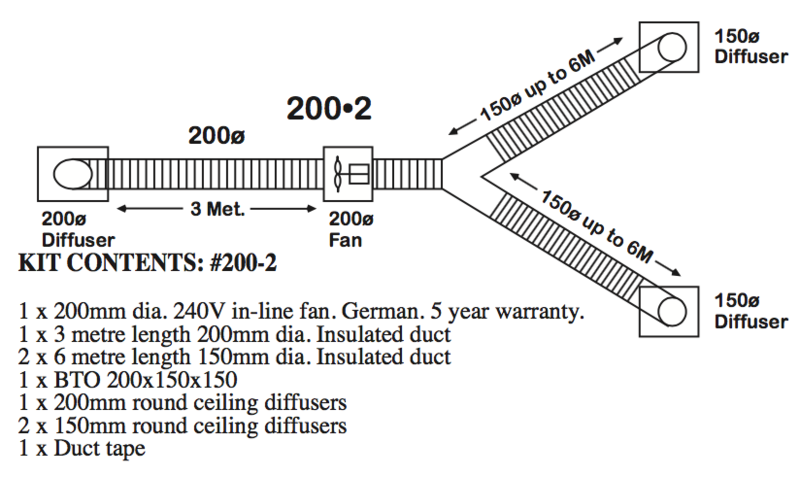 A qualified electrician must be engaged to wire the fan in accordance with wiring requirements of the relevant State Authority.